on plastic roves as the film and its adhesive react with the roof material. 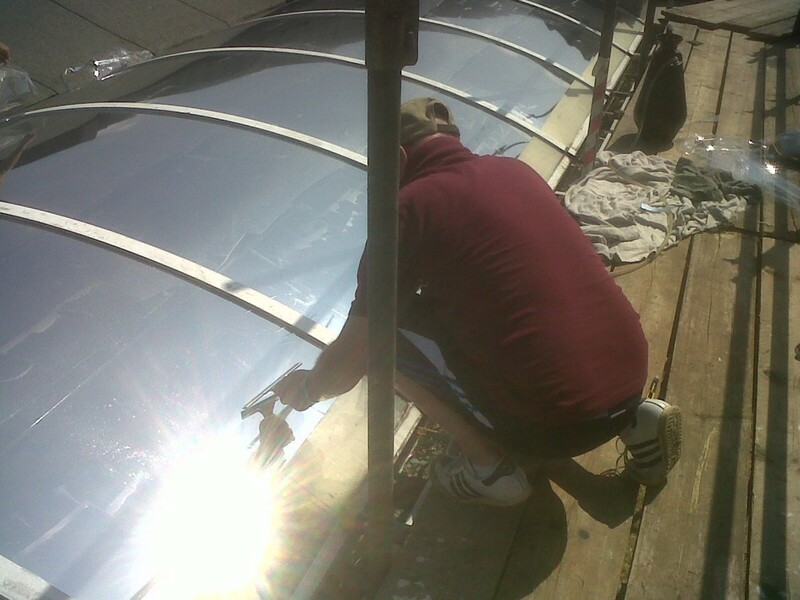 tackle the heat of the sun you really want a highly reflective finish. where as the white car is cool to touch (and sit in) as the white finish reflects the heat. the best for reduce solar heat gain. said the area below temperatures just dropped. competitor and has a far higher solar heat gain reduction performance. So if you have a plastic roof and are baking we have the solution for you.